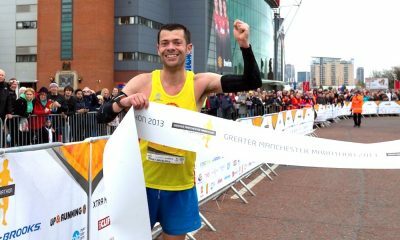 In his first ‘fast runners: class of 2018’ post, Dave Norman reflects on his running journey up to now and offers advice to all runners – be patient, consistent and take a long-term approach to training and progression. When I was approached to become part of the ‘class of 2018’, I was a little taken aback. I was in a pretty bad place with my running and had been for some time. My performances throughout 2016 and 2017 had been way off my best and ‘fast running’ was a total contradiction to what both the results sheets were reading and the body was feeling! I was assured that the idea was for my contribution to be from a different angle and that it was my running story, good and bad, that may provide the point of interest for readers. I have never been the most talented of runners, having never broken four minutes for 1500m or 60 seconds for 400m – so my potential was always limited. But one of the things I prided myself on was consistency and hard work. Without boring you with a long list of statistics, the best example of this is probably that from 2002 through to 2012, I achieved 11 top 40 National Cross Country finishes in a row (with a best placing of 12th). If it hadn’t been for frostbite at the 2013 Northerns curtailing my training, that streak probably would have been 13 years (I was back in the top 40 in 2014). Throughout that same period, I had a similar record at the Northerns (11 appearances in 13 years, all between 4th and 21st). The 2016 National was when things started to take a turn for the worse. I’d already seen my National record take a real hit with lengthy travel between the Armagh 5k (14:42) and Parliament Hill two days later affecting my 2015 result (62nd) and then a nasty virus saw me finish 102nd in 2016. If it hadn’t of been my 20th National in a row, there is no way I would have ran. In hindsight, running hard at this race is one thing I regret and it really left me in a mess for some time afterwards. Then a series of injuries ranging from stress fractures to calf tears saw me on the sidelines for prolonged periods and I never really regained any consistency or quality of training. Again it’s easy to say in hindsight, but it was a mistake to run through some of the injuries as I did, I was simply desperate to maintain the consistency I know pays dividends. The hardest thing for a runner is knowing when to say ‘my body needs a break here’. Sometimes you do need to plough on, but definitely not always to the point the body says ‘no more’. I always knew that the consistency of race results I had enjoyed over a long period of time was largely down to the consistency of my training. Since 1999, when I started to take running and training seriously, I never missed more than a week, and to take more than three days off consecutively was largely unheard of. I knew that I was extremely lucky in that respect, but at the same time, it was dangerous as I thought I was invincible. One of the first pieces of advice I will give any runner who approaches me is that consistency is the single most important factor in running performance. 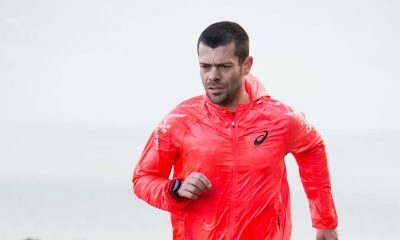 You are far better doing 60-70 miles a week all year round than doing a few 100-mile weeks and then breaking down and having to take time out. We’ve all had those training sessions and training weeks where you’ve exceeded expectations, but the reality is consistency and patience are what is going to get you results. Right now, I’m probably in the best place I’ve been for two years. I turned 39 in November and my fitness was at an all-time low. I ran the Stretford parkrun on my birthday and finished 10th in 17:11 on a fast course. A long way short of my fastest ever 5k of 14:21! But importantly, after my latest injury layoff throughout most of September and October, a lot of long-standing issues had cleared up and I felt in a position to start the process of gradually returning to serious training again. Turning 39 has given me a real focus to think long-term towards becoming a veteran and try to get myself ranked as high as possible. I have taken part in four cross country races since that parkrun and seen great progress in each. Again, I won’t bore you with the stats but there has been noticeable progress from one race to the next. 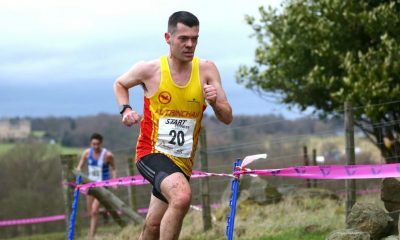 The most recent was a 46th in the Northern Cross Country, which is my lowest finish since 2000, but a result I was very happy with as the first of those four cross country races suggested a position somewhere between 150 and 200! In my next post, I’ll be reflecting on a number of lifestyle changes I have made since Christmas which I feel have already started to pay off and hopefully will help me to achieve my goals later in the year and beyond. Thanks for reading and below you can have a look at my recent training. 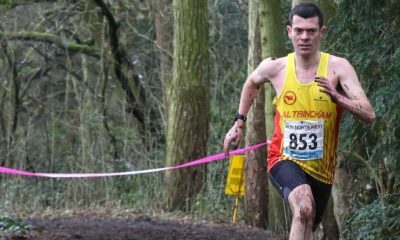 Sat 27 Jan – am: 3 miles very easy pre-race jog, pm: 11 miles including the Northern Cross Country Championships. 46th, my thoughts on the race above! Dave Norman is part of the ‘fast runners: class of 2018’ and will share his running journey every month throughout 2018. More information can be found here.